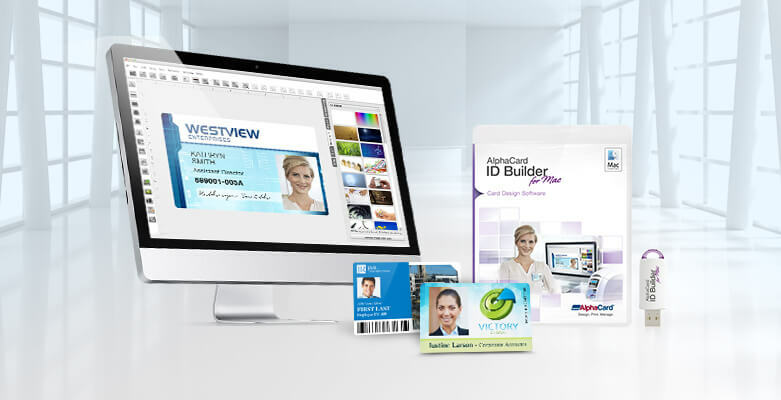 Choose from entry-level AlphaCard ID Builder Basic, the popular AlphaCard ID Builder Standard, AlphaCard ID Builder Professional for external database connections, or the most advanced card design and database options of AlphaCard ID Builder Elite. It’s easy to see all the features of this software with our Edition Comparison Chart, which compares all four editions across the most important design and database features. System requirements for all editions of AlphaCard ID Builder: Mac OSX 10.5 or higher, Intel 64bit processor, 512MB RAM, and 500MB free hard drive space. Interested in AlphaCard ID Builder, but not sure which edition you need? Our FREE six-week software trial makes it easy to test out every feature of the software before you buy. Just select Mac from the Software Select dropdown on the Free Trial page. Try AlphaCard ID Builder FREE for 6 weeks.